Finding unique gifts for little ones can be difficult. When children are younger, they don’t make a mile-long wish list for their birthday or Santa. This means you have relied on Pinterest searches and reviews to find age-appropriate gifts. Since posting my One-Year-Old Gift Ideas, it has continued to be a popular post. 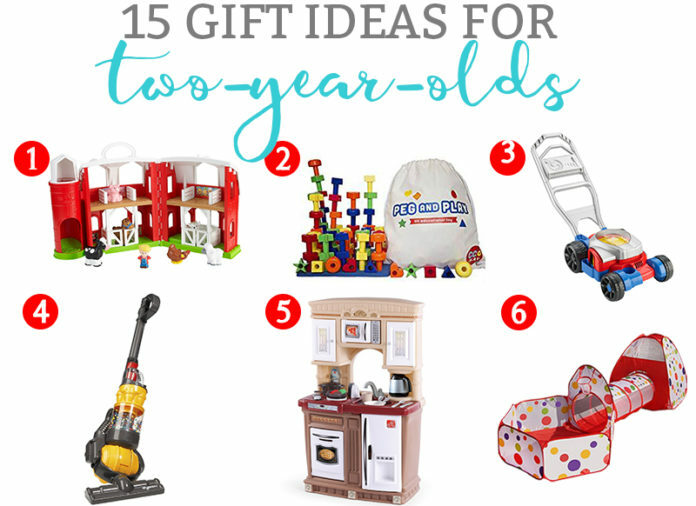 Today I am sharing a gift idea list for two-year-olds (and eventually I will share a list of three and four-year-olds, too). Both of my boys have loved these books. While a child younger than 2 can enjoy the books, they are more likely to try to put the tip of the pen in their mouths. What makes these books so wonderful young children is that they can travel in the car or the diaper bag and provide some quiet entertainment (at least 5 minutes, which is a lot for a 2-year-old). Even my oldest, that has no interest in drawing, loves these books. 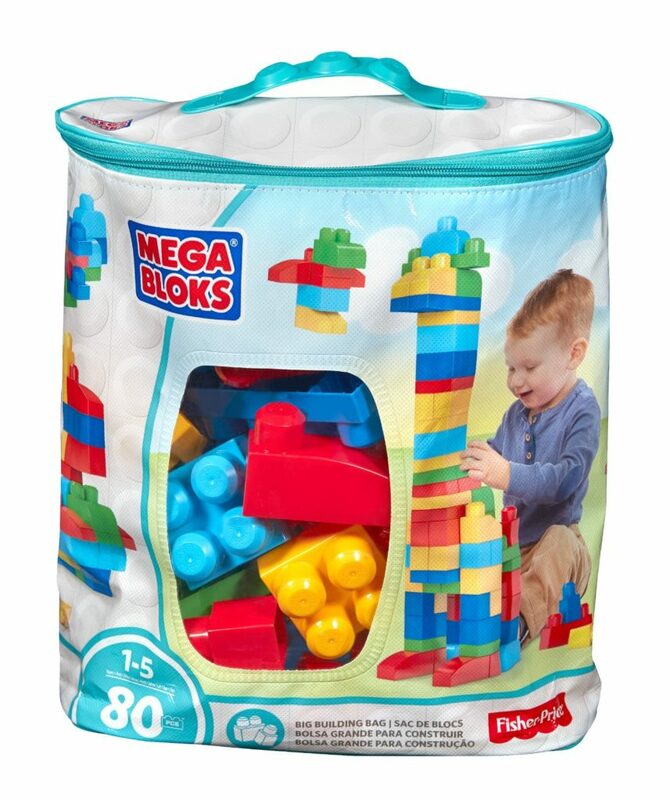 Megablocks are the perfect gift for tiny little hands. In addition to having fun, kids are working on their fine motor skills. My boys love to build garages for their cars or sheds for their tractors. I think that Megablocks are a must-have for young children. The next most popular toy in our playroom is the play kitchen. It has offered countless hours of imaginary play. Carl especially loves to make coffee like Dada. Jack’s favorite is the play food that goes into the kitchen. He likes to pretend to eat the food and feed us as well. 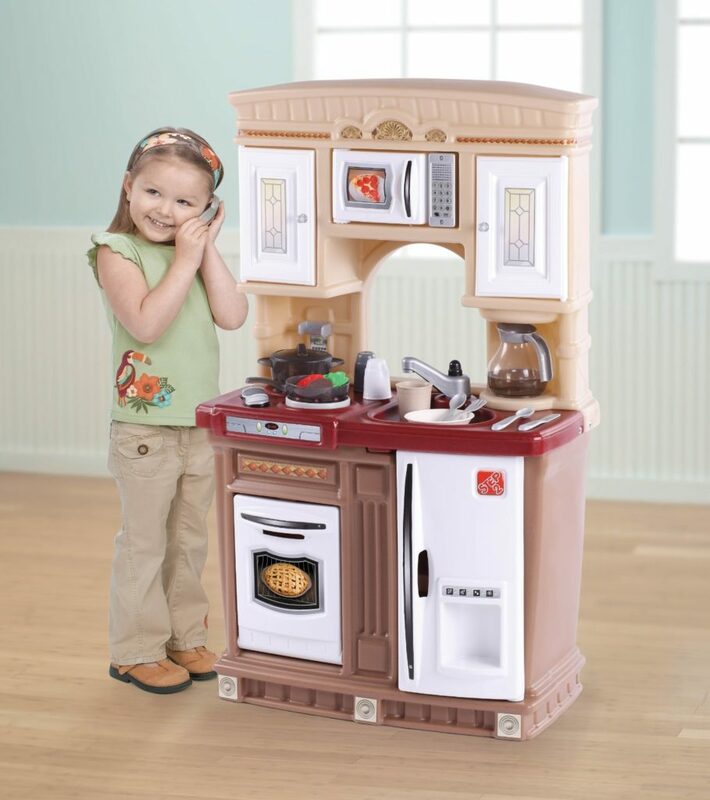 There are so many wonderful play kitchen options. This is the one we have because it is compact compared to some of the other models. This is one of 3 toy vacuums we own. Both Carl and Jack loves vacuums. 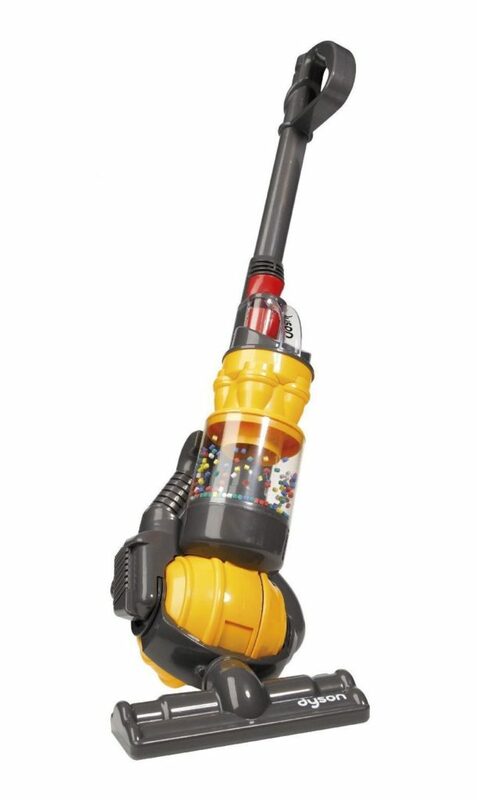 Having a toy vacuum will provide your little one with something to do while you are vacuuming. They can feel like they are participating in the chore which will allow you the opportunity to get a little housework done alongside them. In our house, farms are the home of tractors. Which means, our Little People Farm gets a lot of use. Little People make some wonderful play-sets for children. I love the farm because it provides children with the opportunity to use their imagination. 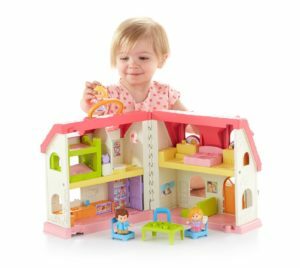 Dollhouses are a classic toy for children. At about 2, children can really start to do some more imaginary play. Dollhouses are a long-lasting toy. 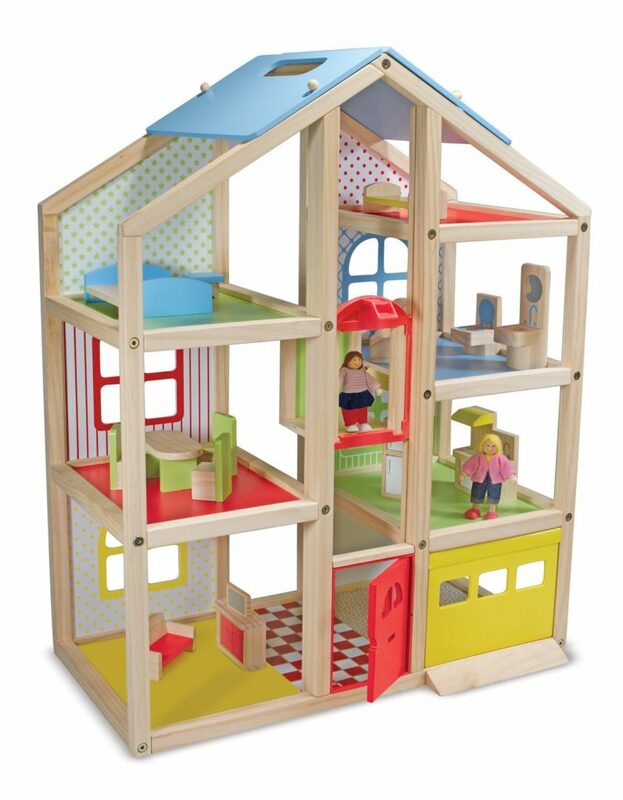 Children won’t be bored with their dollhouse a year from now which makes the dollhouse a good investment.The Little People version is good for people that don’t have a lot of space. 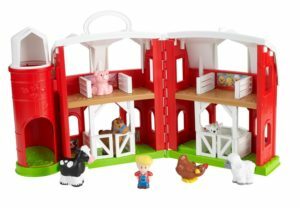 The Melissa & Doug version works well for people with a little more space. I love that the dollhouse has a garage for play cars and trucks. If your children are into firehouses, then the Fire Station may be the better choice over a dollhouse. Playskool offers a smaller, more compact option. 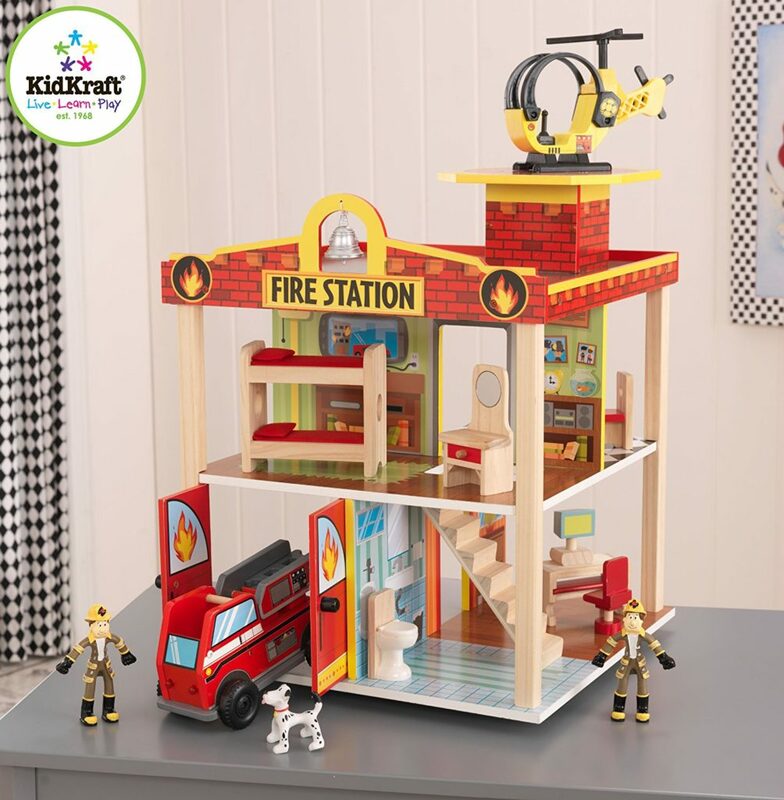 KidKraft’s larger fire station even fits a firetruck inside of the station as well as a helicopter on the helicopter pad on the roof. Again, the fire station will last more than a year and will grow with the child’s imagination. I love any toy that gets kids outside and moving. 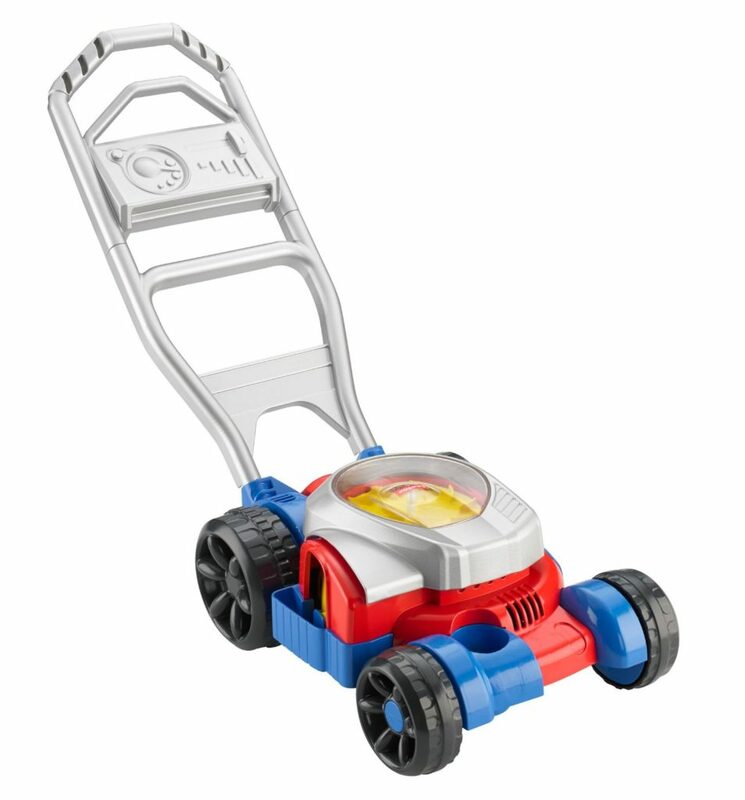 We have 2 of these bubble mowers as well as another type of toy mower. My kids are partial to mowers but I still think this is a classic toy that many children will enjoy playing with outside. 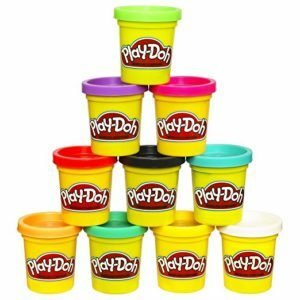 I was so excited to be able to introduced play-doh to my boys. (Jack had to wait a little longer than Carl because Jack kept trying to eat it). 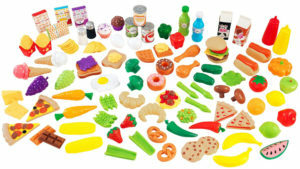 Play doh is a wonderful tactile activity for little ones to do. 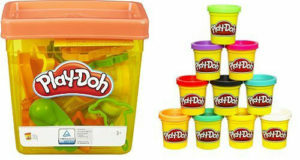 They can work on their fine motor skills (especially if you get a kit with some of the toys). It’s one of the first ways to introduce children into art-related activities. 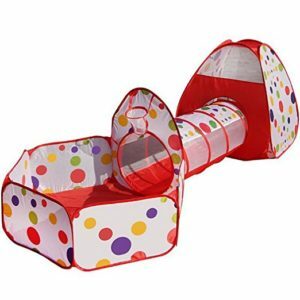 While we love our ball pit, this three-in-one activity center with a tent, tunnel, and ball pit can provide a lot of playtime for children. In our house, we already have these items detached so I actually hook them up to each other. Instead, this all-in-one unit can help kids get their energy out on a rainy or cold day. The only difficulty is that it takes up quite a bit of space. I know, this looks like a boring educational toy. I promise you that children will have no idea that this toy is educational. 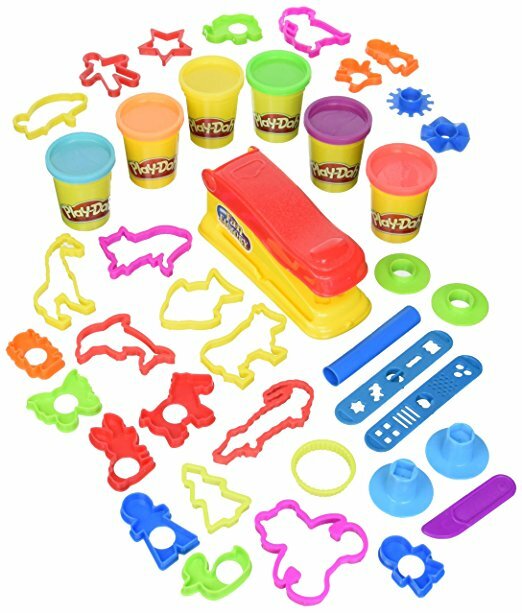 Little ones can work on fine motor skills, sorting, colors, shapes, counting, and more. 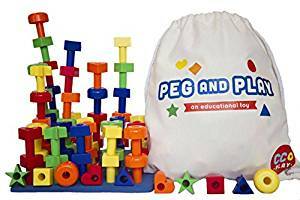 The pegs can act as form of entertainment for a few years so this toy has some longevity. I love that my kids are learning through play with these pegs. I am a firm believer that children don’t get enough time to be kids and this is one of those educational tools that will allow a child to play and learn at the same time. 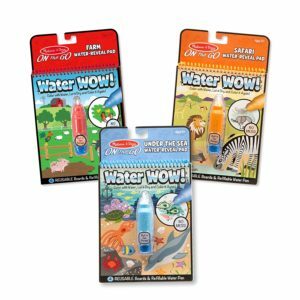 Aquadoodle is the perfect early writing tool. As much as I love coloring with crayons and markers, they can make a big mess (cleaning up crayon from the walls is never fun). 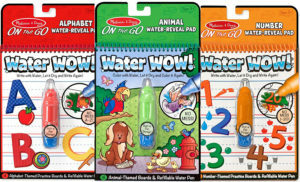 The Aquadoodle is a wonderful first writing tool. 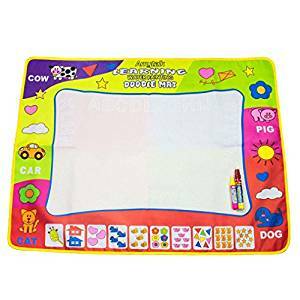 It can get your child exciting about writing and also be a great way to teach them about letters, numbers, and shapes. Our four-year-old still loves his Aquadoodle so it’s a gift that will last a while. The reason this toy is a runner-up is because it’s larger size makes it difficult for many families to have. If you want to get this toy for a child, make sure the parents are okay with it first. A small cottage/playhouse provides hours of play for kids for years to come. 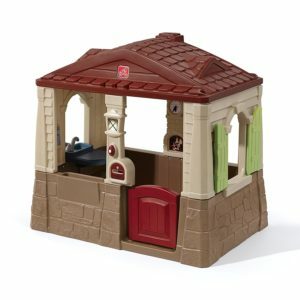 This one is especially adorable because it has a mailbox, doorbell, and even a sink. My littlest, Jack, loves ride-on toys. 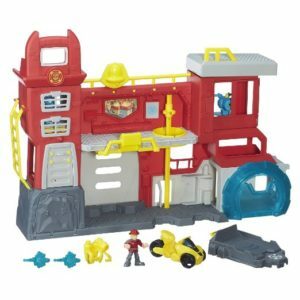 He is an adventurer and this ride-on toy provides him with some excitement and adventure. 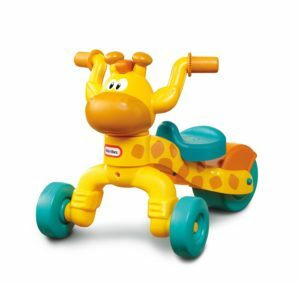 This giraffe ride-on works well if you have the space to store it. Again, this is a runner-up because it takes up quite a bit of space. We love Mr. Potato head in our house. Jack actually fell in love with Mr. Potatohead sometime around a year in a half. The only reason it’s on my runner-up list is because it can be a more complicated toy for children. 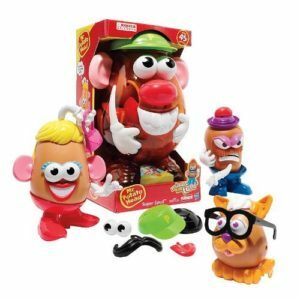 The pegs and holes that the attach the pieces to the Mr. Potatohead can take a little extra understanding and work. Even if a child may not play with it at 2, it can be put aside in the closet until the child is a little older and can appreciate it a little more. Books are one of my favorite things to give as gifts. I would suggest looking at books that are for toddlers and have a little more to them than Goodnight Moon (not that they aren’t well-loved by two-year-olds; the parents just probably already have a copy or two). tickets to somewhere they can make wonderful family memories. Memories last far longer than any toy you could buy. This could include the zoo, aquarium, children’s museum, petting zoo or farm, train museum, etc. Just make sure it is toddler friendly and close in location. You can also make it a set a tickets and part of the gift can be you attending the event with the child. Ask the parents first what size you think they will be. Chances are they have enough clothes for the current season already so buying clothes for the season ahead will help make for happier parents. parents can use to buy things like diapers and clothes. Just because a kid is 24 months, doesn’t mean they’re wearing 24 months clothes. Be careful when estimating a child’s size that isn’t your own. Kids clothing sizes can be tricky. While it can be fun to reminisce while looking at toys, don’t buy a kid your favorite Star Wars toy just because it reminds you of your childhood. It should be a toy the child can play with within the year – otherwise, the parents have to find some place to store it (the return desk where you bought it most likely). Everyone loves to give the show-stopping toy. But make sure that the parents are okay with getting a little Red Coupe before buying one for their kid.